Travis Scott‘s concert in Oklahoma did not go well — it was called off before it even started, and angry fans stuck around to voice their displeasure … and to vandalize. 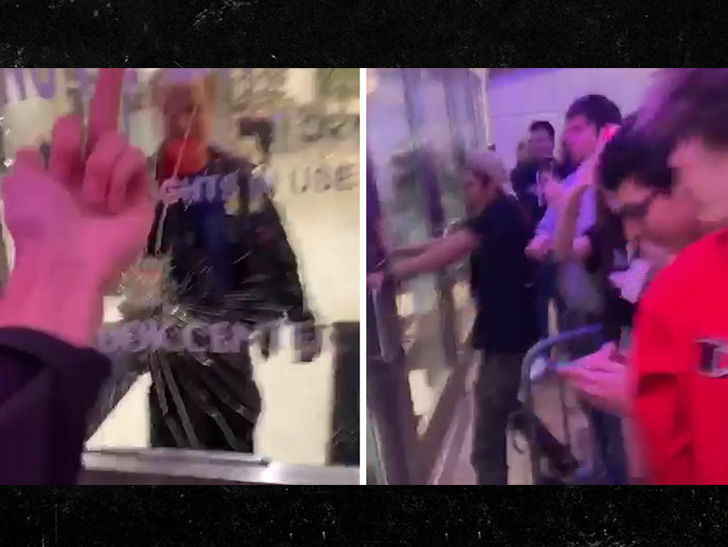 Instead of heading home peacefully, a horde of Travis fans waited and grew more irritated outside the arena … before one guy threw a water bottle, shattering a glass door. More fans rushed at an entrance that was briefly opened by security and shouted, “Let us in!” … but didn’t get their wish. Cops reportedly dispersed pepper balls into the crowd after they began banging on the doors and eventually … everyone left unharmed. For his part, Scott apologized to his fans shortly after the postponement announcement, explaining he didn’t want to give them an incomplete show. Trav’s next gig is Wednesday night in Houston. He could use the hometown love.